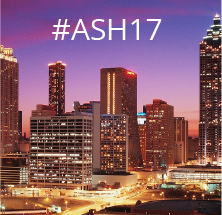 The 59th annual meeting of the American Society of Hematology (ASH) takes place in Atlanta from December 9-12. At the Cancer Immunotherapy ETF (Nasdaq: CNCR), we have been anticipating this moment all year. ASH is the largest and most important medical meeting that focuses on blood disorders, including blood cancers. It is here where companies and other researchers aim to unveil some of their most important clinical trial results in this area of medicine. ASH has been particularly exciting for us to watch in recent years because it is where we have seen the emergence CAR-T immunotherapy as a treatment for blood cancers. CAR-T is where the patient’s own T-cells are drawn so they can be re-engineered outside the body and taught to look for cancer. Once infused back into the patient, the cells recognize the cancer, expand into the billions, and aim to destroy it. A few years ago many observers might have told you this kind of therapy was science fiction, but we have seen it evolve into reality at meetings like ASH. with FDA approval for the CAR-T treatment Yescarta for adults with an aggressive form of non-Hodgkin lymphoma (NHL). On the investment side of things, market participants saw the CAR-T story make headlines in August when Gilead acquired its Kite Pharma unit for $11.9 billion. following along as news happens at the meeting. When it comes to the CAR-T race, Juno is trying to be the comeback kid. You might remember last year around this time when the company unfortunately had to pause and then drop development of their lead CAR-T asset JCAR-015 after serious safety issue arose during a trial in adult acute lymphoblastic leukemia. To the company’s credit, they have made quick work of pivoting to a new, and they believe improved, asset called JCAR-017. Improvements include using a 4-1BB costimulatory domain (one of the main components of a CAR), which they believe expands slower and is more durable than the previous CD28 version, a more precise delivery of the T-cell ratio used in the product, and improved manufacturing. JCAR- 017 is being developed first in an aggressive type of non-Hodgkin lymphoma called DLBCL. That is very important because DLBCL is the type of cancer Juno’s competitor Gilead has already won FDA approval for with its CAR-T product Yescarta. Additionally, Novartis filed with FDA for approval of its CAR-T product Kymriah in DLBCL so that one might be on the market in the near future as well. Given that Juno is at least a year behind those two, they will need to show that JCAR-017 is substantially better if they want physicians to switch to them one day. In drug development, we call this being ‘best in class’. At ASH, the most important thing we will learn from Juno is where they are on the road to showing us that they might indeed have a shot at being best in class. They are currently running a study of JCAR-017 called TRANSCEND that is transitioning from being a doseescalation study to a pivotal trial. ASH presentations will show us some preliminary data from the dose escalation stage. This is Juno’s most important presentation because it will be when most of their efficacy data is presented from the TRANSCEND trial. Preliminary data was released on November 1st, and so far it looks encouraging. At dose level 2 in DLBCL, the same dose they will be using in the pivotal cohort of TRANSCEND, the 3 month overall response rate (ORR) was 63% (12/19) and the 3 month complete response (CR) rate was 58% (11/19). Industry observers especially watch the CR rate closely because this means a total absence of detectable cancer and is the gold standard of what companies are trying to achieve for patients. While is impossible to exactly compare results from multiple trials because you can never say for sure if patient populations are the same, the above numbers compare favorably with data that Gilead’s Kite Pharma unit used to secure approval for Yescarta in this indication. At last year’s ASH, Kite showed a 47% CR rate for the DLBCL cohort of patients in a study who had a minimum 3 month follow-up, and later in the spring we learned that this was 31% at 6 months. If Juno can show that its > 50% CR rate is durable, or even post a higher number in the pivotal trial via precise patient selection, they might indeed have a shot at the ‘best in class’ title they are striving for. Monday’s presentation will be an update of those preliminary numbers. The full details at ASH will help us understand what the chances are of the pivotal trial succeeding in this ‘best in class’ effort. If Juno wants JCAR-017 to take the crown of ‘best in class’ in DLBCL, efficacy is only half the battle. They also need to show that JCAR-017 is safer and easier to administer than competitors as well. Preliminary data in this respect also looks encouraging. 64% (44/69) of DLBCL patients in TRANSCEND have shown no cytokine release syndrome or neurotoxicity, two of the most serious adverse events seen with CAR-T historically. Two things the company credits for this is the 4-1BB costimulatory domain that expands more slowly and also how they have been able to precisely define the ratio of CD4 and CD8 T-cells used in the product. A very intriguing result of this low adverse event profile is that Juno is now talking about treating patients with JCAR-017 in an outpatient setting rather than in the hospital. If this turns out to be realistic and feasible, it could have profound implications not only for Juno, but the entire CAR-T field in general. Obviously a goal is to make treatments as safe as possible, but being able to administer them outside of the hospital could come with the added benefit of significant cost savings. The total bill for CAR-T treatments is substantial because CAR-T currently is only administered with close patient monitoring. Changing this would be big because it could free up both hospital bed space and money. Lastly, Juno will be hosting an analyst event on the evening of Monday, December 11 at 8:30ET to wrap-up conference, summarize all the things they have presented, and give their view on what it all means. The event will be webcast so be sure to visit the Investor Relations section of Juno’s website if you would like to listen in. Having earned the first ever approval for a CAR-T therapy anywhere in the world. Novartis is a clear leader in this field. FDA approved Kymriah in late August for children and young adults with relapsed/refractory acute lymphoblastic leukemia (ALL). Since that time, the company has also filed for approval with FDA for adult patients with DLBCL (a type of aggressive NHL), the same indication that Gilead is first to market in after recently winning approval for Yescarta. Novartis has also filed for approval in Europe for both of these indications. As you can see, they are going full speed ahead when it comes to CAR-T. Given that the company hopes to compete with Gilead in the DLBCL indication soon, the closest thing observers will be watching for during ASH is how their data stacks up against Gilead’s. Additionally, given the leadership position Novartis has in CAR-T, you can bet that they will also be making presentations on new and improved versions of CAR-T. If you want to get a good idea of where the field is headed in the future, following early stage studies from Novartis and their collaborators is likely to provide a good clue. There is no better place to do that than ASH. FDA approved Gilead’s Yescarta for certain types of aggressive NHL, including DLBCL, on October 18th. 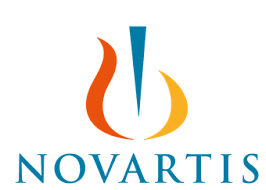 Novartis followed that up by submitting their application for approval in DLBCL on October 31st. If you assume a 4-6 month review, this means that these products could potentially be competing on the market in the very near future. That leads to a big question: is one of them better? The answer is complicated because data from the two companies looks very similar so far. The full presentation of Novartis’ data at ASH will be watched closely to see if it suggests any discernable differences. Preliminary data published by the company on November 1st showed a complete response rate (a total absence of cancer) for 30% of patients at the six month mark. This compares to a complete response rate of 31% for Gilead at six months so the data looks nearly identical. of 12% vs 13% and 28% for Gilead respectively. These numbers also look somewhat similar, but we will want to understand the context a little better such as how comparable the patient populations are to begin with. One last thing to watch, though we will not learn about this at ASH, is how pricing will affect the competitive picture as well. In pediatric ALL, Novartis launched with an innovative pay-forperformance pricing model where they will only charge for the treatment if a patient responds after three months. Gilead did not do that in DLBCL and is only charging a flat rate so the question arises if Novartis will try to compete with them in that way for this type of cancer. When Novartis won the first approval by FDA for a CAR-T therapy in August for relapsed/refractory pediatric ALL, they did it based on data showing an 83% complete response rate at three months. In fact, 79% of these children were still alive after one year. Those numbers are incredible given the poor prognosis for this type of cancer and lack of treatment options. It is truly something special. However, 79% is not 100%, which means that some patients sadly do not respond to the CAR-T and eventually some do relapse. These issues are even more pronounced in other types of cancers beyond pediatric ALL. Therefore, companies like Novartis are already working on ways to improve on it. One way that companies are trying to do that is to make CAR-T treatments more humanized. The currently approved ones use murine (mouse) parts. This makes it easier to manufacture, research, and commercialize them, but it comes with a downside. The human body is trained to naturally reject things that are not of its own, so using murine parts causes an undetermined efficacy and durability trade-off. In this study being presented at ASH, Novartis is using a humanized CAR to see if they can get better results for patients who either haven’t yet had a CAR-T treatment to begin with or to see if they can successfully treat children who have relapsed after treatment with traditional CAR-T.
Novartis published preliminary data showing that 100% (22/22) of the children who had never been treated with CAR-T showed a complete remission after one month. However, four of these patients relapsed 3-9 months later. For the children who had previously relapsed after traditional treatment, 56% (9/16) achieved a complete response. While some of these patients also relapsed again, that number is very encouraging given how there are essentially no other options after CAR-T relapse currently. Overall, these data for the humanized CAR-T are promising and we will want to hear more commentary from the investigators about whether they think this might play a role in future versions of CAR-T treatments. Gilead entered the CAR-T market in a big way when they acquired CAR-T leader Kite Pharma for $11.9B in August. In the press release announcing the deal, Gilead CEO John Milligan said the company chose to do this because Gilead shared Kite’s belief that “…cell therapy will be the cornerstone of treating cancer.” It is a bold bet from both a scientific and financial standpoint on the ability of treatments like CAR-T to reach their full potential one day. While the first FDA approvals have been exciting, and preliminary data in a host of cancer types is encouraging, it is still very early in the development of these treatments so it is hard to know what they are truly capable of over the long term. Kite Pharma has always made ASH a highlight and 2017 will be no different now that it is a fully owned subsidiary of Gilead. This year look for long-term follow up data from their main product Yescarta in its approved indication of DLBCL. We will also see at ASH the progress Gilead is making in other types of cancer and how they are trying to boost the efficacy of CAR-T by using it in combination with other types of immunotherapies. One thing we know for sure about CAR-T therapies like Yescarta is that initial results in certain types of cancer have been very promising. For example, in refractory aggressive NHL, Gilead saw an overall response rate (ORR) of 82% and a complete response rate (CR) of 52% after initial treatment with the drug. This compares to historical standards of 26% ORR and 7% CR based on the results of an outcomes study seen with traditional treatments. With a median follow-up of 8.7 months, 44% of the Gilead patients were still in an ongoing response. As exciting as these improvements are over traditional therapies, these CAR-T treatments have been developed so quickly that we unfortunately do not yet know much about their long-term durability. That is one thing we will get a better picture of from Gilead at ASH. On Monday, they will present data from aggressive NHL patients with a median follow-up of 15 months. A key will be to see how many patients are still experiencing an ongoing response. The hope for CAR-T is that if a patient is in remission past a current date, you can have confidence the response is likely to be durable. However, we do not yet know the extent to which that is actually true so long-term follow up data like this will be very revealing. For patients who have relapsed and are no longer responding, another goal of this study will be to find out why that is happening. If researchers can better understand that, it might help them develop additional treatments in the future to correct for the relapse issue. You might recall that Novartis earned the first CAR-T approval in the world for children and young adults in a type of cancer called relapsed/refractory acute lymphoblastic leukemia (ALL). Companies have also been trying to use CAR-T to treat adults with this same type of cancer, but it has been more difficult and no one has fully succeeded yet. In fact, Juno had to outright retire an adult ALL program last year after serious side effect issues caused patient deaths. Adults typically have a greater disease burden and their immune systems are often weaker to begin with so that has made adult ALL a tougher case to crack. At ASH, Gilead will be presenting updated results from their ZUMA-3 study in adult ALL. We have already seen some initial data that was published in early November. Of the 11 of 16 patients who were evaluable for efficacy analysis, an objective response was seen in 82% while 73% were in complete remission. Safety is an important thing to watch because one patient sadly died of a serious adverse event called cytokine release syndrome. We will want to watch for updated results at ASH and to hear the investigator’s commentary about efficacy, safety, and dosing. The above results are from two different dose levels, and data from a lower dose will also be presented at the meeting. Overall, we are looking to see if CAR-T has a path to being as viable in adult ALL as it already is in pediatric ALL. By now you might know that immunotherapy is not one thing, as there are many different classes of immunotherapy drugs. One of the most widely used is something called a checkpoint inhibitor. Checkpoint inhibitors block a protein marker that prevents T-cells from interacting with a tumor cell. In layman’s terms, we like to say that doing this is like taking the breaks off the immune system. This approach has been very successful and checkpoints are already approved in cancers like melanoma, lung, bladder, kidney, and head and neck cancer. One such checkpoint inhibitor is Roche’s Atezolizumab. Since CAR-T involves reengineering T-cells to help them better recognize and attack cancer, companies like Gilead have wondered if combining CAR-T with checkpoint inhibitors might show improved results. At ASH we will see some initial data using that approach with Roche’s Atezolizumab. While only a handful of patients have been treated, there seems to be some initial evidence that adding the checkpoint does in fact improve the action of the CAR-T cells. Whether this will result in better patient outcomes is yet to be seen. Watch for commentary at ASH to learn more about the initial prospects of this. Up until today, most CAR-T products target a protein on the outside of cancer cells called CD19. The CAR-T process works by engineering T-cells to recognize CD19, after which they search for it in the body and kill any cells it is found on. This has limited CAR-T’s use to certain types of blood cancers like ALL and NHL that express CD19. If we want to see CAR-T used successfully outside of these indications, a different target needs to be found. bluebird and others think they might have located the next successful target in something called BCMA. BCMA is predominantly found on the outside of multiple myeloma. At ASH we will get an important update from the company on this BCMA CAR-T program. bluebird is by far the furthest along in researching anti-BCMA CAR-T. In fact, it was exactly one year ago at this time when the company initially announced data from this program and showed the industry their skills in immunotherapy. To date, the BCMA data has looked strong with high response rates and lower levels of toxicities than seen in most CD19 CAR-T programs. In early November, the company published an update of their BCMA CAR-T study. In 18 patients evaluable for initial clinical response, the overall response to the therapy was 89% and this increased to 100% if you only consider patients given the highest dose. MRD negative, a medical term that means minimal residual disease and signifies remission, was seen in four of the 18 patients. On the safety side, no patients experienced grade 3 or higher neurotoxicities and only two had grade 3 cytokine release syndrome (which was resolved in 24 hours). Overall, this data looks very promising for using CAR-T in multiple myeloma. The cutoff for the above data was way back on May 4th, and much of it had already seen at a medical conference earlier this year. Therefore, ASH will be important because we will see an update of this as well as data from additional patients. bluebird’s CAR-T data has virtually been flawless up to this point so the stakes will be high for it at ASH. They and their partner Celgene are already preparing to launch a pivotal study in BCMA CAR-T so they have a strong chance to continue their leadership position in this area. For investors who follow bluebird, it is important to note that cancer immunotherapy is only a portion of the company’s pipeline. bluebird will also have very important presentations at ASH for their gene therapy programs for sickle cell disease and beta-thalassemia. Those include sickle cell presentations on Sunday at 5:30 p.m. (abstract #527) and Saturday at 5:30 p.m. (abstract #990) and beta-thalassemia presentations on Sunday at 10:45 a.m. (abstract #360) and Sunday at 5:15 p.m. (abstract #526). Lastly, bluebird will be hosting an analyst event on the evening of Sunday, December 10 at 8:30ET to wrap-up conference, summarize all the things they have presented, and give their view on what it all means. The event will be webcast so be sure to visit the Investor Relations section of bluebird’s website if you would like to listen in. All current CAR-T therapies are autologous, which means that each treatment uses the patient’s own cells. While this comes with biological benefits (your body is more likely to accept something that is of itself) it can make CAR-T challenging and logistically complicated to make. Cellectis, on the other hand, is trying to be the leader in allogeneic CAR-T. Allogeneic means that cells from a healthy donor are used to create treatments for many patients. This is what we call “off the shelf” and it would have significant logistical and cost benefits if it can be proven to work just as well or better than autologous treatments one day. Allogeneic approaches are also in earlier stages of development so less is currently known about them. At ASH we will see updates from two different types of programs that Cellectis is involved in. First, the company has partnered with Pfizer and the French company Servier on all allogeneic CD19 programs. Pfizer and Servier are conducting these trials and will provide an update on some of the very first human data from them. Second, Cellectis will also be presenting some preclinical data of its own for non-CD19 programs. Cellectis wholly owns everything outside of CD19 so industry observers will be watching closely to see what new programs they plan on taking to the clinic themselves. One program targeting CD123 is already in clinical trials but is currently under a regulatory hold as safety issues are being reviewed. The above two trials are the ones being conducted by Pfizer and Servier in CD19. One is a trial of pediatric patients with relapsed/refractory ALL and the other is adults with the same kind of cancer. Recall from our Gilead discussion above that adult ALL has been more difficult to treat using CAR-T therapies. This is largely due to a heavier disease burden and the different immune profiles of these age groups. In the pediatric study, so far five children have been treated. They were all either unsuitable for or had failed autologous CAR-T treatment. Remarkably, all five achieved complete remission sometime between days 28 and 42. All of them went on to get a stem cell transplant and two are still in complete remission a couple of months post transplant. For the other three, two relapsed after transplant and one sadly died from complications of the transplant. The allogeneic CAR-T cells were detectable in the blood from day 7 to at least day 28 in all subjects. An update of this data will be provided at ASH. In the adult study, so far six patients have been treated. Four of the six achieved a remission with minimal residual disease by day 28. One of those patients relapsed and was treated again with another dose of the CAR-T. That patient and the three others who saw remissions all eventually went on to get a stem cell transplant. Two remain in complete remission, one relapsed, and one sadly died of an infection. The allogeneic CAR-T cells were detectable in the blood from days 10 to 28 and up to day 42 in one patient. An update of this data will also be provided at ASH. When the above info for both of these studies was initially released in early November, the investment community saw it as a negative (judging by how the CLLS stock traded). Concerns were that the allogeneic cells do not seem to persist in the body very long, all patients went on to need a stem cell transplant, and some relapsed. However, it is possible that this might not be a fair way of looking at it. The bottom line is that these are patients who have untreatable leukemia and the autologous CAR-T did its job of putting most of them in remission, at least initially. We will be very keen to hear the investigators’ commentary about this at ASH to see how they feel about it. The above presentations are all related to preclinical work that Cellectis has done on some of its own non-CD19 programs. The most interesting thing about them is the targets themselves. Some of them are very unique. For example, we have described earlier above how bluebird is focusing on BCMA as a target for multiple myeloma. Cellectis, on the other hand, has chosen a target called SLAMF7. It will be interesting to hear their rationale behind it and why they think SLAMF7 might be a better target than BCMA. This one was awarded an oral presentation by ASH, which sometimes denotes a high degree of medical significance. CD22 is another target that is a big focus both for autologous and allogeneic companies. One reason for this is because when patients relapse on CD19 treatments, it is often because they have some residual CD22 based disease. It will be interesting to see what kind of work Cellectis has done on that and when they expect to take it into the clinic. For CD123, they already have clinical trials ongoing in AML and BPDCN, although those trials are currently on regulatory hold due to some patient deaths. Industry observers will be looking to the CD123 presentation to see if anything appears in the pre-clinical data that would suggest why they are having this issue with the clinical trial. Thanks, as always, for your interest in the field of immunotherapy and support of the Cancer Immunotherapy ETF. To see how it all unfolds at the conference, look for press releases from individual companies or you can watch news and commentary in real time by following #ASH17 on Twitter through December 12th.